There is physical evidence of the existence of a Christian community in Luppitt since shortly after the Conquest. The present Church building is believed to have been constructed early in the fourteenth century. Luppitt was united with neighbouring parishes in 1974. Luppitt is a lively and friendly village with a strong sense of community. 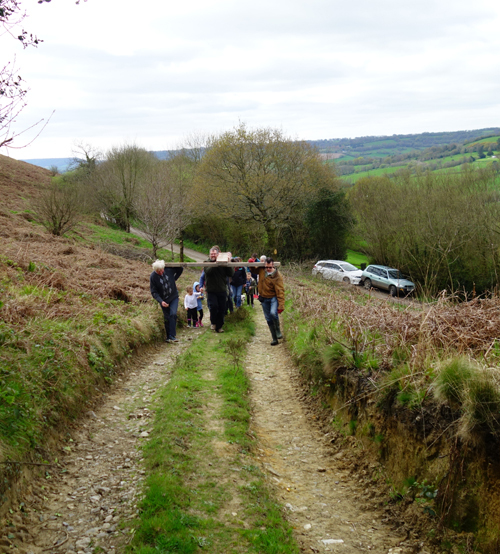 Families have farmed the vale of Luppitt for generations, and local businesses such as the Otter Brewery also provide some employment. There is a small residential home for disabled young people, some of whom attend church. There are many social activities mostly based on an excellent modern village hall, including a Luppitt Wives group, a Social Club, Soft Play, a Luncheon Club for over 60s, the Friday Market, Pilates and Keep Fit groups, plus many non-regular events. Fund raising activities for the church in 2016 included a very successful Flower Festival in the Church, with displays, stall and refreshments in the Village Hall, a well-attended Dance, and a Coffee Morning. Church members are closely involved in the life of the village, and the community is friendly and helpful to the church, content with its historical presence, used to its fund raising, and willing to support in all sorts of ways. Many of those who do not worship regularly contribute nonetheless to church funds. We sadly no longer have a school or a shop, but the Luppitt Inn opens in the evenings. The excellent parish magazine, the Luppitt Packet, is used by all organisations to announce events and includes a large section for church affairs. Services are held in the Church every Sunday, with two Family Services and both BCP and Common Worship Communion held each month. The earliest known record of Luppitt’s bells is dated 1553, and during the twentieth century the ring was twice augmented, to six bells in 1928, and to eight bells in 1974. There is an active band of ringers, which is affiliated to the Guild of Devonshire Ringers. The church building is sound and the endless need for minor maintenance is attended to. Visitors comment on how well the churchyard is maintained. Statistics: Area 5072 acres, Population 450, Electoral Roll 33, ASA 22, Common Fund £11,403. The bi-monthly Family Services, attendance at special events and festivals, a supportive village community in which churchgoers lead or are involved in all the village clubs and activities. Participation in benefice Six Worship Together services and efforts to co-operate with sister parishes. Encouraging attendance by churchgoing and supporting families who have recently moved into the village. Financial support by occasional and non-churchgoers. The 8 bells are rung regularly by our own ringers and also frequently by visiting ringers from other parishes. Average service attendances reflect the working life of the village with farming families with no weekend respite from their labours. 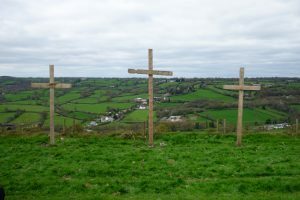 Most folk do not want to be tied to church every Sunday, the only day for family activity outside home, work and school. Whilst churchgoing newcomers have been made very welcome, we still have no successful approach to encouraging the young, especially when teenage is reached, and we need to find some ‘fresh expression’ of church to interest them. The level of fund raising needed is a constant challenge. The congregation is stable but ageing, and has very few young families. The aim has been to build the congregation by encouraging those who do attend sometimes to attend more often, by encouraging young families to ‘family friendly’ forms of service, and by providing services and events that are likely to be well attended, including the traditional services with established congregations. This encouragement is tangible in terms of services designed to meet the real needs and improved facilities. In parallel, it is hoped that real efforts can be made in the Mission Community to determine what forms of ‘fresh expression’ might reach those who never attend church but nevertheless have some interest in faith-based activities outside the formal church service. Establishing ‘fresh expressions’ probably needs to be a shared Mission Community action. Luppitt continues to play its part in the joint events and services of the Mission Community, looking to support, and be supported by, the Community. Luppitt PCC would like the Mission Community to be able to employ a joint youth worker, although this has not yet been possible. The number of Family Services has been increased to two per month replacing one evening prayer service. The Family Service has been redesigned to be more easily understood by young people, and a new more ‘family friendly’ service sheet produced. The changes have helped to establish the habit of 11:00 am services, and attendance is certainly better than it was at evening prayer. The monthly service rota offers two fairly well attended family services. One BCP Communion and one Common Worship Communion service per month are provided but less well attended. 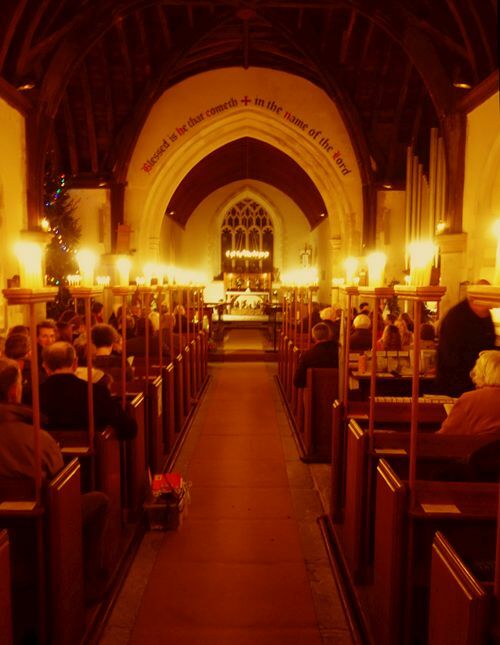 The candlelit Carol Service before Christmas is always very well attended, and carols are also sung around the parish. A crib service on Christmas Eve for the very young has been established, based on a large nativity scene in the space under the altar. This has proved very popular with local families. 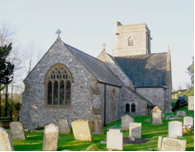 A full public address system with hearing loop has been installed in the church, and toilet facilities are now provided for visitors to the church and the churchyard, which are open every day all the year round. 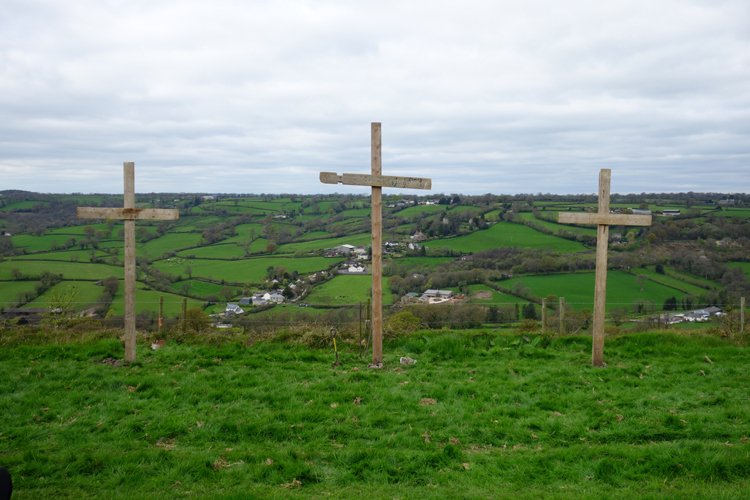 The parish has until recently enjoyed a sound and stable financial position, due to the continuing generosity of both churchgoers and the wider community. The PCC has tried as a policy to give at least 10% of income to good causes, whilst the common fund payments have been difficult to meet with much effort needed to raise the funds. A campaign to increase regular giving, necessary due to increasing costs including Common Fund increases, had a heartening response from both churchgoers and well wishers, but extra special efforts will continue to be required to balance the budget. Very fortunately, our meagre reserves have recently been boosted by a legacy. The fabric of the church has been well maintained and is structurally sound and stable. However, the lead roofing at the top of the tower needed urgently to be replaced. The application for a grant in 2015 to the Listed Places of Worship Roof Repair Fund failed, but a new application in 2016 was successful in obtaining a grant of £19,700, which allowed the lead roof to be completely renewed in 2016. This project will be completed in 2017 including the re-pointing of the tower parapet. The churchyard is very well maintained by volunteers. The War Memorial in the churchyard was refurbished in 2015, funded by the Parish Council with a grant from the Devon Remembers fund. In 2016 the legacy allowed all the paths to be resurfaced in tarmac to a very high standard. Please always check the parish magazines, and church notice boards for any alterations on particular weeks to the standard services, before making your journey.